More and more businesses are turning to Project Portfolio Management (PPM) Software to help them manage their project work. But there are hundreds of tools claiming to be “project management software,” ranging from light task management tools to heavy, on-premises tools, and project failure rates are still higher than they should be. 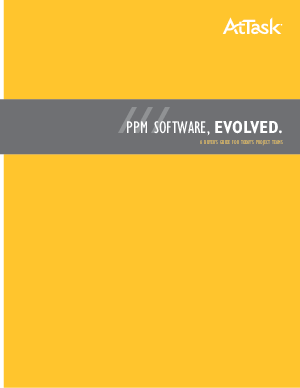 Choosing the best PPM software for your team doesn’t have to be overwhelming if you know what you should be looking for. Download your free Buyer’s Guide now.